As you read this information know that it is your own knowledge awakening, your sacred heritage and lineages. You the Blue Ray and the many Light Bearers true divine nature have been undercover of your full expression, gifts, talents and abilities, and as this information is being revealed so are you. The higher realms, ascended masters, the Light and your guides communicate with you in many ways in your world and life. We are in constant communication and communion with you. One way that is increasing with momentum is through the sacred number sequences. They are more than mere numbers. They are sacred codes, energetic frequencies of dimension and light. These sacred codes of communication form sacred geometry and gateways, creating activation of your higher nature. It is not that you are looking for the numbers or just seeing them, it is an activation and remembrance as you and the higher realms, the masters of ascended light and love, are aligning at a divine configuration of reality of time and space. It is a holy moment when this occurs. As you acknowledge this communion, it builds a stronger vibration of higher light in your energy field and life. For some time now, many of you have been seeing the sacred number sequences occurring frequently in your life. It may have become such a common occurrence that has been easily discounted to, "Ah yes, I see the numbers all the time and that is all." through mental processing may feel you cannot take time to be activated by the higher realms. Know that you are in a holy moment beyond time and space, a place of divine power, where a moment can become many hours, days or even years. When you return to this time space you will see that it was only a moment or minute in this reality. 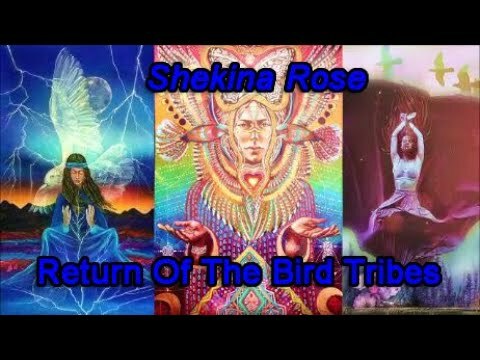 13 –33-333 represent the new earth, golden age of Gaia through the sacred heart and the Christed female - the return of the Goddess, Shekinah and Sophia, the sacred divine feminine. It is divinely powerful when you see these combinations of 13-33 together and 333 each one coming to you throughout your day. 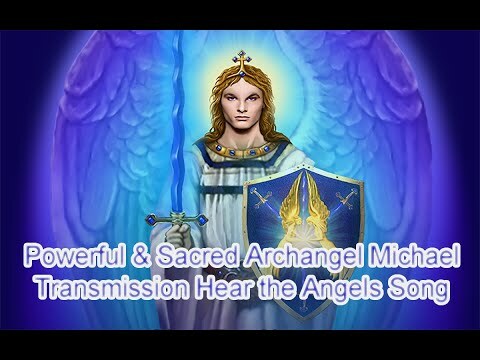 Together they are telling that you are a sacred way shower, a frequency holder of the new earth, that cellular rejuvenation of your light codes is taking place. 13 is "The Return of the Goddess in all things"
The Sacred Power of 13 brings and carries the frequency resonance of Transcendence of matter and the embodiment of ascension, the new earth frequency code, Unity and Oneness, Mary Magdalene, Mother Mary, Shekinah and Sophia; natural rhythms coming into balance and sacred order; taking back your power through the sacred divine feminine. 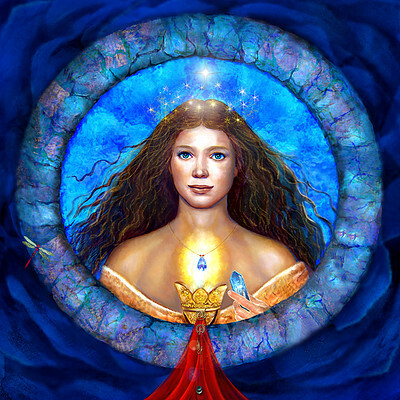 Mary Magdalene represents the 13 and the shift of 2012 that will bring the new earth codes. She and her essence have re-emerged at a time when earth and the people would be ready to receive her lost knowledge. This will bring the Christed female of the holy spirit of the embodiment of Shekinah. 13 is a unifying vibration, it is the Christ with the 12 disciples. There are 13 lunar cycles in a solar year that honor the sacred divine feminine and at one time you followed here on earth. 13 was the sacred number of the ancient Egyptians, part of the sacred geometry of Creation to activate their sacred light body. The Mayans, many Native Americans, Lemurians, Atlantean and ancient sacred cultures used the holy code frequency of 13. The turtle represents the primordial goddess of 13; many turtles have 13 segments on their shells. Mother Mary of Fatima appeared to the children of Fatima on May 13, 1917, for 6 consecutive months on the 13th day of each month. Her presence will come again on that day of 13 through Shekinah in the coming shift of ages. 13 has a secret divine power and esoteric frequency of the Mother essence to transform all things. In the past, the 13 number vibration was one of fear. As the power elite of the time wanted to steer you away from its true direct connection with source creation. It is why they distorted the truth creating instant fright around 13. Your indigenous and ancient cultures used a different system of time and communion with the cosmos, life and Spirit that was more in tune to the natural rhythms of Creation and heartbeat of Gaia. This holy way of balance is returning through the great shift of the ages. The 13 vibration is a part of the holy alignment and healing. 33 is the sacred heart, ascension, the masters of ascended light and love, the return of the Shekinah, the holy spirit heart flame of the Mother of Creation. 333 means cellular activation of your light codes and you are working with the teams, legions of the masters of ascended light and love and higher light beings and realms. I too have been paying closer attention to numbers the last few weeks knowing that from deep within something was going to be revealed. I also have had animals appear in my life in unexpected and delightful ways. Thank you to ALL. These spiritual energy codes are nothing new, for they are represented in ancient culture, in the stars and daily life. They also constitute our genetic, physical and skeletal bodies as sacred geometry; 33 vertebrae; 12+1 pair of ribs; 10-10 fingers and toes and the list goes on. Even the modern medical terms for parts of our anatomy and brain 'disguise' our spiritual energies and even our celestial names; eg amygdala, cerebellum, atrium/ventricle (4 heart chambers). As stated before the three P-YRAM-IDs with 12 faces and 3x3 smaller ones are energy codes. 13 also stands for M ( Mary), 13 lunar months of 28 days; 13x4 equals 52 weeks (360+4), the circle of a year with the pyramid base at its centre. Mary 'MAG-DAL-EN' as my Twin/Guide is also known as the Shekina and Christina/Sophia and also as M64(8x8) in Coma Berenices. Her God-dess Mother Mary (R-HEA-rt), the Virgo-Genisis Zodiac has as one of her cosmic names IS-IS as well SH-E-MU-NAH meaning “I Am All that Is , Is God-dess; there is nothing that is not God-dess”. One of my names is the "Name-isis" or "Namejs". My apartment number is 13; moreover I have been seeing the 333 number sequences a lot. Every time I see these numbers, I always give thanks to the Divine, and say I am open to receive the blessing! It makes me feel connected to spirit. It only means 'to take a holy moment', if you want it to mean that! Not b/c Shekinah of the blue ray channelled it or said it was so. Maybe they do mean 'nothing'-to you. They dont 'have' to mean something. Maybe they are just useful tools on many levels, for living in a physical form. Also, maybe validating someone else's reality/meaning, gives them more power over you. I mean, if these meanings of numbers were created at one time, even in ancient times, to have influence or even manipulation over others, spiritually or physically, then buying into them only furthers that purpose. Then again, they may well respresent a great symbolic gesture-using them to remind oneself to take that holy moment during the say...a nice pregnant pause, as it were. Who knows? well, we each know-inside-what is true for us. People give us some nice ideas and potential guidance for the road, though. Nothing can be categorically true, in terms of meaning or interpretation of meaning. Yep, someone designed this reality and decided to use codes. Up to us whether we agree with their version; a phenomena exists, and we define it. There are these heart chambers, and someone invented numbers and counting, and applied them as such, using the old language for 4, etc. But your heart isn't your heart, and 4 isn't four, anymore than a book is a book or the sky is the sky. They aren't. We just call them that for easy reference/communication. They just are. Your leg doesn't refer to iself as a leg; your consciousness doesn't call itself that, or higher mind, or anything. So none of this is 'true'; it's simply a way of organizing phenomena so that we can discuss it and make use of it. I see the numbers all the time and they are increasing lately. I notice I am at peace more --but what I do is stop notice my thoughts and breathe. after all the meaning is only meaningful by our own beliefs anyway right? Thank you for your message - it literally made me jump with joy! I see these number sequences all of the time, many times, every day! Warmest Greetings of Love and Peace. Thank you and bless you for the beautiful sharing. Thank you for this natural confirmation. I see 33 and 333 (plus 44 and 55, 555) all the time. 11,11- 12.12- 10.10- 13.13 and 17.17 ( I just don't know what this last one represents ) are my almost daily friends.. Your message claryfied all this vibration I feel when they appear.. Thank you Skekinah be blessed .. Excellent post..!!! Mi-fa-sol-asy of ASSYSLA (a word of scandinavian origin equivalent to the arthurian name Avelon, an alternative for Paradise). Ref 17.17, it refers to the "Queen/Mon-archy" aspect of the Kingdom of the "Hea-rt sta-r" or "Vesta-Rhea-rt".The Paradise Isle of Mother-Father God-dess has many names, Vesta (Petra=stone) being just another one. RHEA is another name for Mother Mary. Her celestial daughter, more commonly known as Mary Magdalen is identified in Paradise by the number "17.5 Sta-r-s". The "Point" is the Infinite Point of Genesis, also known as Tav = Omega = Zeroth(E-Ros-E) Point of our Cosmic Source. The scent of Roses (Love) and Lilies (Purity) is the most common known fragrances when the energies of the two "Queens of Heaven" as the Mother Goddess and her celestial daughter/High Priestess Queen respectively, sometimes wish their presence to be known. The two Mary's over many periods have often been confused in separate apparitions and even in the Ma-Rea-lm of Paradise they sometimes appear as almost identical sisters for they are in fact 'One' from Origin. Hear-T your Heart-H.
Well, I see that dear johnblums runs high again, saying deep-wide things in very compact form. I think these ideas should not be lost here and there, but rather be stationary and collective in whole in a site perhaps. I thank anyway for the inspiring thoughts there. About numbers. The secret behind numbers, metaphysical numerology, - yes, it is no-new, but becoming more intensified, due to the new energy on earth -, is a means of angelic message transfer, on both collective and individual (private) basis. Angels can talk directly to us and whisper the message, but the rule of the game perhaps restricts this (to rare incidences). In intermediate levels of frequencies (of spiritual evolution), the contribution and effort and partnering of the receiver is required and demanded by the system (game rule) to resolve the message supplied by a higher conciousness (angelic realm, ascended masters, higher self). The numbers may represent a greeting and everything is allright sign, an energy and presence of a specific angel or ascended master, a warning to make us more aware and see if we are to forget something or do something not so favorable, and the numerical code of some specific detailed message that we should work on, study to solve it. Some numbers may represent different things for people of different cultures. The number '13' discussed above will mean a different thing and will represent a different ascended master energy in an eastern (non-Christian) culture. But, it will perhaps be wise to consider all probabilities. Sometimes, the same number will have the potential to mean more than one thing, actually many things, and one will be in need to differentiate inbetween those possibilities to obtain the most accurate fitting interpretation to the situation faced. Thank you very much for this. I have been wanting and been directed to get my music career going again and i feel its finally time. I will use this new information wisely along with any further information. Our time is Now to be the Christed beings we are and heal, create, protect, share the new earth. I have seen 333 most of my life. I always thought is was cool. About 5 years ago I noticed a number 3 on the back of my hand . About a year ago I noticed another 3 next to it. I now have a heart shaped freckle next to them near the base of my thumb on the back of my hand. The first 3 appeared right after my dad passed...I mean that very same day I thought it was the letter m for the first letter of my maiden name..maybe it was always there and I just never noticed it or maybe it means something else.I feel I have this urge to find out.I am not a super religous person but I do believe that we are all more than we appear to be. What do you think the number 933 means? My friend keeps seeing it all the time. On the clocks, the radio, seeing it in visions. Do you think you could help me to understand the meaning of the number 933, so I may help my friend. He does not understand what this means. I burst into tears at the end of this article. I just feel so special to be enlightened and to share in this moment in time. Most amazing was in the solstice ending the mayan calendar, 13, 33, 333 was manifesting everywhere. I was a bit afraid to be honest. I rented a car went to catch a friend, was road 333. I picked her and we drove to the highway. She needed to go to the toilet so she started calculating how long it would take. We saw a sign saying Gas Station at 28 km, I was driving at 126 km (the car had a digital speedometer) and well it just gives 13.333333 minutes... Later I realized that the number of kilometers marking in the dashboard was 13.234 pretty soon was 13.333 km I was driving and all went fine. I could tell you a lot of stories that happened with me, also the sequence 666, 666, 333 once happened in one of the most difficult periods of my life. It seams to happen more frequently near the winter solstice (xmas) although it happens all the time. It happened today, I got a train that would arrive at my destination at 12:33. Travel time 33 minutes, platform 13. When I started being aware of this I was a bit scared, now I understand it is something good. I'm still trying to figure it out. I keep seeing both 13 & 33 all the time. More so when I randomly look at the time and this happens an awful lot. As in 5 times a week regular. Reading this thread does offer good meaning and answers to my questions about seeing it all the time. I see 333 almost daily. My Spirit has reminded me that when I see 333 to think about Jeremiah 333 "call on me and I will show you great and mighty things that you know not of" (basically saying "Ask Me to tell you about all the GREAT and MIGHTY things you don't even know about yet!!!" so when I see 333 I get really excited and say "OH SHOW ME MORE OF WHAT I HAVE NOT EVEN IMAGINED YET!" Animals are also coming to me in all kinds of ways ... what does that mean? I rent a house week ago, it's umber "33", the house which is left of my hous number "13", lol - again 13-33. Before 13:33 I saw 11:11 too everyday and everywhere, from 2007 year. Sacred Geometry - Blue Mary Ray - Magdalene Energy - Red Rose Energy - Sacred 13- I strongly suggest you read my book 'Entwining of Souls' - MBS Press / Book Depository.com - a true account of where all these aspects featured during my channelling of The Blue Mary Ray Project 1994 - 2004 and The Celestial Dolphin Centre in Dongara, Western Australia on a daily basis for 10 years, which involved the creation and activation of 12 main chakra areas within the 6 acre property and healing sessions in The Dolphin Healing Room accessing the Blue Mary Ray. The book features two spiritual images of Mary Magdalene herself and photos of the symbols created such as Standing Stone - Sacred 13 - Heart Chakra / Pulse of Life / Goddess Nut / Goddess Isis - Boomerang / Law of Karma - Buddha's Place of No Secrets / Four Truths of Suffering - Celtic Cross / Negativity Beacon - Sacred Geometry / Notre Dame Cathedral floor plan - Sacred Mary Seat - Celtic Triple Enclosure - Green Magnetic Energy Captor - Atlantis - Egyptian Energy Transfer - compelling past life souls mates to resolve issues. I have been noticing the repitition of 33 and 333 for several months now - its becoming quite a joke how often they're occuring. Im not even surprised when I see it anymore, more like I expected it to appear. My numerology discription revolves around the number 3 as well. My birthday is the 13th August 1992. My Numberology Life Path number equates to 33. My name begins with a 'C' = 3 alphabetical sequencing. Dont really know the purpose of this comment other then to show appreciation for this post and that I can definitely relate. LOVE seeing people talk about these sacred high vibrational DIVINE feminine numbers! I've written about 333 and the connection with angels here.